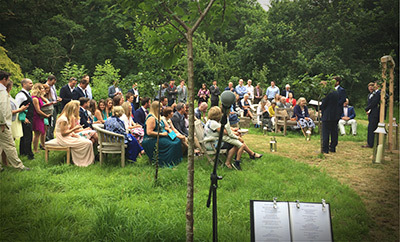 July 18th, 2015 saw a journey down to Ever After at Lower Grenofen (near Tavistock, Devon) for Jenny and Shaun’s big day. Lots of organisation went into this amazing wedding day, with the bride and groom arranging everything from their home in New Zealand! Jenny & Shaun booked my all-day package – so that included welcome music as guests arrived, live songs during the wedding ceremony, the afternoon drinks reception and the evening party. Lots and lots of live acoustic tunes! After an hour or so of music out on the green as guests arrived, we made our way over to the Orchard for the wedding ceremony. With my PA system already set up on the decking area near the main marquee, I moved down to play some songs during the afternoon drinks reception. Time for a rest ready for the evening! 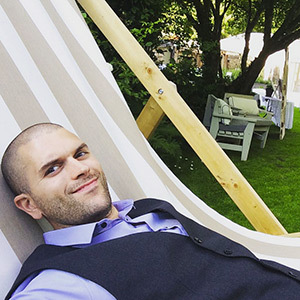 I had a chill out on the giant deck chair (pictured!) 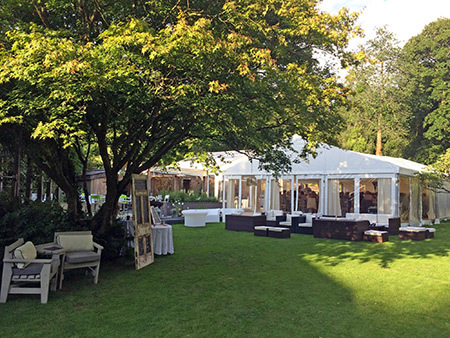 and Jenny and Shaun were kind enough to provide me with some food – so I refuelled, before moving my PA into the marquee ready for the evening celebrations. I love playing songs I’ve never heard before for a first dance – and Jenny and Shaun chose “My Baby” by Plush, which worked perfectly with the guitar! An absolutely amazing day all round – huge congratulations to the happy couple, and I loved discovering this gem of a wedding venue. A really magical little spot, and I’m excited to head back to Ever After next year for Cherie & David’s big day! 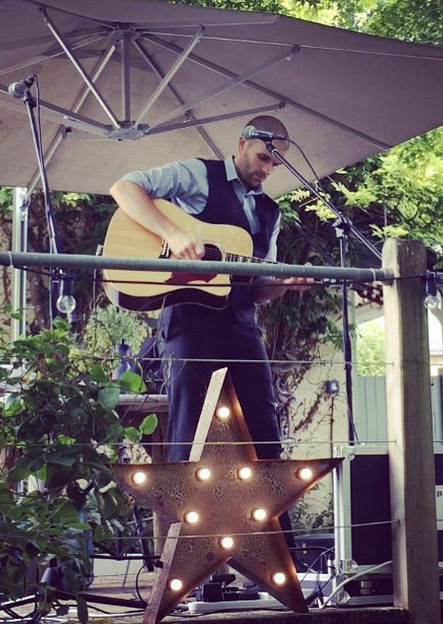 This entry was posted in News, Wedding Guitarist Blog and tagged acoustic, ceremony, Devon, entertainment, evening, guitar, guitarist, live, live music, music, musician, performance, reception, set, singer, singing, venue, wedding, weddings by Pat McIntyre. Bookmark the permalink.